Building on its success, the Wisconsin Coverts Project will be expanding to two workshops in 2009. Both workshops will be held at the beautiful Kemp Natural Resources Station near Woodruff, WI. The first one will be from August 13 – 16 with a second one planned for August 27 – 30. These 3-day sessions have had rave reviews from past attendees that have become Covert Cooperators through past workshops. Now starting its 16th year, 374 cooperators have attended these workshops. Sharing with others what they have learned these Coverts Cooperators have influenced the management of over 434,000 acres of land in Wisconsin. This workshop is highly recommended for those landowners interested in better understanding their role as stewards of their property. For additional information on the workshop contact Jamie Nack at 608-265-8264 or by email. Attendance is limited. More information is available on the Coverts Project website. Presentations from the Spring 2009 workshops at 5 locations in Minnesota. Mark Your Calendar for MFA’s Annual Meeting and Spring Field Days 2009! This Family Event is set for New York Mills, Minnesota on Friday evening, May 15, and Saturday, May 16. New York Mills is on Highway 10, 90 minutes northwest of St. Cloud. Our annual business meeting. Learn what MFA is doing and have a say in our future. A social hour with host Bob Sonnenberg and friends tending bar. An entertaining program with Master of Confusion, Chuck Erickson, and local story teller, Chris Schuelke. Saturday is Family Day at Sonnenberg Farms, located just a mile north of New York Mills. The whole family gets admitted for just $10.00. 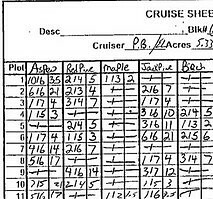 That’s $10.00 per carload, not per person! This day will be worth the drive from Winona, Duluth, or International Falls! Events running continuously during the day will include Project Learning Tree fun for kids, a session on growing shitake mushrooms by Jim Chamberlin and family, educational tours of the woods (either afoot or riding on special People Movers), woody plant ID with Mike Reichenbach, and buckthorn control with Ann Oldakowski. Food will be served all day by the local Lutheran Church ladies group, green Jello and all! We hope to see you in New York Mills in May! Watch for registration forms on our web site (www.MinnesotaForestry.org) and in the next issue of the newsletter. For questions, contact event chairman Chuck Erickson at CYErick@prtel.com or by phone at 218-495-3321. Wow! I just learned that Boulder Lake Environmental Learning Center, with financial support from the Northeast Minnesota Sustainable Development Partnership, is offering a whale of a deal. These spots will go fast, so contact them now if interested. Do you or someone you know own land in the Boulder Lake area north of Duluth? If so, don’t miss this opportunity to attend 12 Woodland Advisor classes for free ($270 value)…Thank you to the Northeast MN Sustainable Development Partnership – Forestry Committee for creating this opportunity. There are currently 6 full scholarships left…. How to apply: Download, fill out, and return this application form by tomorrow – January 15. Send it by email to jdgeissl -at- d.umn.edu or fax to 218-721-3373. Please call 218-721-3731 with any questions. Below are the Woodland Advisor classes included in the program. Note: you may sign up for individual classes but you will not be eligible for the scholarship money. Note: You can find many other Woodland Advisor class listings here. Not all will be eligible for free registration, though! Adams family members with the big white pine. Photo (c) David Adams. With his wife, two adult children, and a nephew next to him, David Adams described his favorite spot on the family woodland: Sitting under a 45-inch diameter white pine as it sways in the breeze. David has sat under that tree for decades and dreams of the tree, and the land, sheltering his family long after he’s gone. David and his family attended an Intergenerational Land Transfer workshop this spring to learn how to keep the land in their family’s ownership. Sound straightforward? Intergenerational land transfer is anything but. Transferring ownership of assets between generations can be fraught with legal, financial, and personal challenges. As a consequence, many families are forced to subdivide and sell land that they’d prefer to keep intact and in the family’s hands. This is one factor leading to a reduction in Minnesota’s average woodland ownership size. This trend, in turn, impacts recreational opportunities, wildlife habitat, and land productivity. 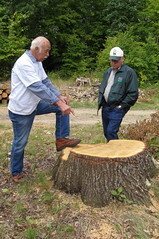 In order to help families navigate the land transfer process, the Woodland Advisor program offered four two-part Intergenerational Land Transfer classes in 2008. This post reports on our experience with the first round of classes, lessons learned, and next steps. The Woodland Advisor curriculum is designed to help woodland owners think about how both they and their heirs feel about the future of their land and to become familiar with some basic tools to achieve their vision. Based heavily on Oregon State University’s Ties to the Land and the University of Minnesota’s Who Gets Grandma’s Yellow Pieplate curricula, we emphasize the human side of land transfer: Personal values, family dynamics, and the importance of communication. Content is presented during two three-hour evening workshops. Part 1 included a presentation and discussion led by two Extension Family Resource Management educators. Participants go home with a number of handouts including the Ties to the Land workbook and DVD, a workbook about transferring nontitled property, and a number of handouts (reproduced with permission) from the USDA Forest Service, Northeastern Area’s Estate Planning Options for Family Forests site. Their assignment is to review the numerous handouts, clarify their personal vision, and begin (or continue) conversations with their heirs about their visions and values relative to the land. In part 2, presenters were Clint Bentz and Allison Eklund, both of whose participation was supported by the Blandin Foundation. Clint is a nationally known Certified Public Accountant in Oregon specializing in land transfer and principal author of the Ties to the Land curriculum. Allison is a Minnesota attorney and woodland owner. Clint’s presentation addressed the basic forms of land ownership and principles of estate planning. Allison focused on specifics of Minnesota’s Limited Liability Statute. We closed with a 45-minute open discussion and Q&A. We charged $100 per family to attend both workshops. We encouraged registrants to bring as many family members as possible for no additional cost. The workshop focused participants’ thinking and encouraged action. Wrote one participant “[t]hanks for a great class last spring, we have had a number of conversations and are getting a clearer idea of each person’s wishes for the future.” This discussion thread was initiated by another attendee. Onsite written and verbal evaluations were very strong. Both parts of the workshop were well received, and participants particularly appreciated the focus on family dynamics and communication. Woodland Advisor program organizers are reviewing evaluations and making improvements to the curriculum based on their experience with these four workshps. 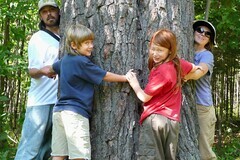 They plan to offer additional Intergenerational Land Transfer workshops in 2009. Click to view a calendar of upcoming workshops. Woodland Advisor is a program of the Minnesota Forestry Association, University of Minnesota Extension, and the Minnesota Department of Natural Resources, Division of Forestry. The Blandin Foundation also provided important financial support for the delivery of the 2008 Intergenerational Land Transfer workshops. On August 19 and 20, Grant Domke and I had the opportunity to participate in MLEP Timber Marking workshops in Hackensack and Hill City, MN. At both sites, local foresters led us through a variety of field site visits, showing both marked and unmarked timber stands. After the site visits, participants (mostly MLEP member loggers) got busy with hands-on exercises on tree selection and stand-level marking. We had great groups both days, and good field sites as well. Erik Lundquist from the Cass County Land Department was our guide at Deep Portage Conservation Reserve in Hackensack. Because the woods around Deep Portage are mostly aspen and pine, our marking exercises occurred in mixed red and white pine stands. Marking pine is pretty different from marking hardwoods–for one thing, there are only two species to choose from rather than 5-10 or more in most Minnesota hardwood stands. But pine marking isn’t always straightforward either, and the small groups came up with a number of creative ways to address the landowner objectives that we threw at them. On the second day, Doug Lloyd from the Minnesota DNR led us deep into the woods east of Hill City (and, fortunately, back out!). After a short presentation in the community room of Woodland Bank in Hill City, we visited several different hardwood sites: unmarked, marked, and harvested. These were much more diverse stands than we’d seen the previous day, and we had some great conversations about the many tradeoffs and challenges associated with good hardwood marking. We discussed tree form, optimum spacing, harvest operational considerations, tallying stumpage, DNR marking policies, and costs and benefits. Like the previous day, after lunch participants got busy with hands-on exercises on tree selection and stand-level marking. We closed the day with small-group field presentations on how each group had addressed their landowner’s objectives through their marking decisions. The workshops were designed to give loggers some hands-on experience marking timber. We also wanted to give them a chance to get inside a professional forester’s head. It’s common for loggers and foresters to be frustrated with one another–what seems like it “should” be easy to a forester isn’t always to a logger in a 10-foot wide harvester–and we wanted to have plenty of time in the field to discuss the practical realities associated with marking and harvesting timber. Although we would have liked to have a few more foresters and landowners present, overall the workshops went well. We look forward to offering them again. 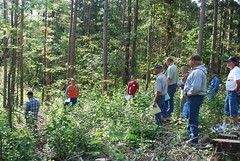 Both workshops were offered by the Minnesota Logger Education Program. The curriculum for these workshops was developed with financial support from the Blandin Foundation. 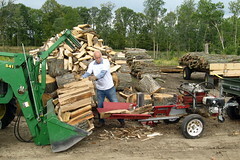 There are a variety of different kinds of classes available to woodland owners. These classes cover topics from forest ecology to general forest stewardship planning to the nuts and bolts of timber sales, and everything in between. To find out about upcoming classes, check out Woodland Advisor, Tree Care Advisor, Minnesota Master Naturalist, and the Woodland School.